KICKER and SSV Works deliver great tunes on the trail. This complete plug-and-play, three-speaker system is custom-made for your GENERAL, right down to the wiring. 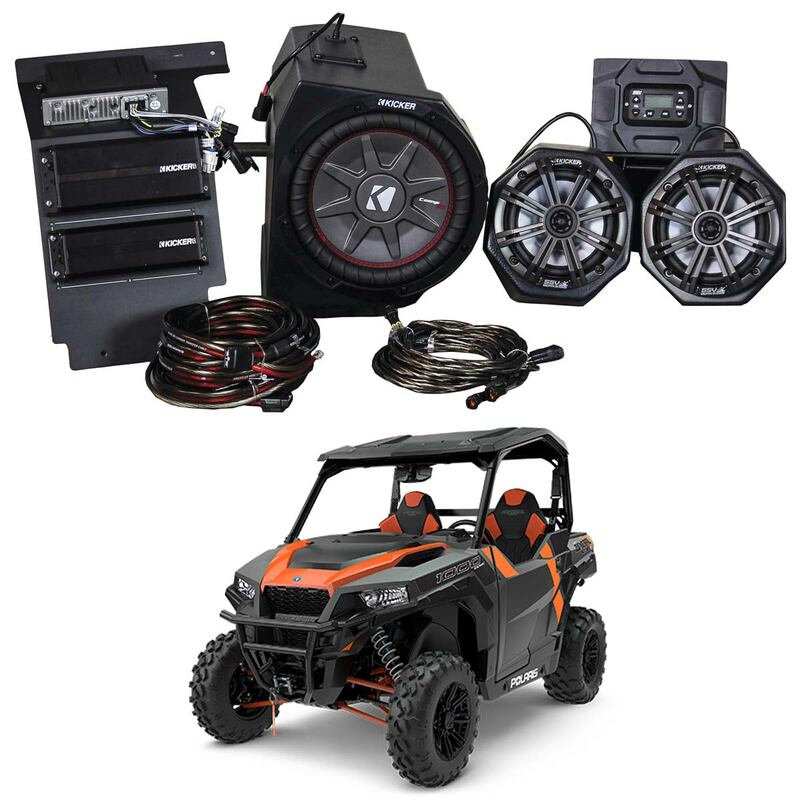 To get tunes to your system, an SSV Works receiver is included, delivering AM/FM and Bluetooth connectivity to two KICKER PX-Series powersports amplifiers. These weatherproof amps give you 800 watts worth of juice for plenty of volume on the trail.